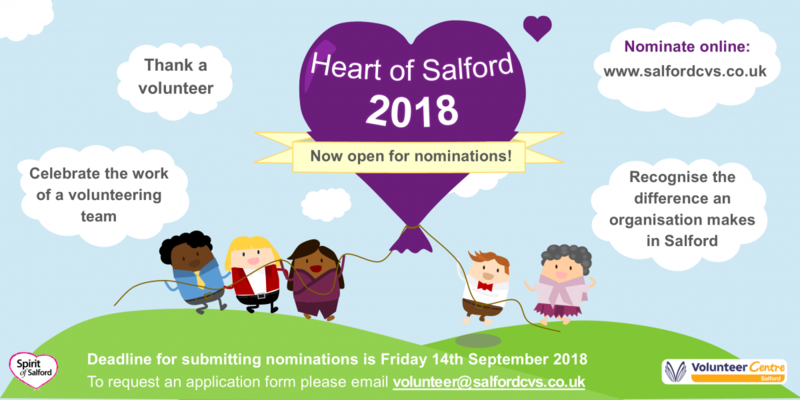 The aim of the awards is to recognise the difference individual volunteers and organisations make to the people of Salford and to raise the profile of volunteering and the work done by nominated organisations in supporting their communities. 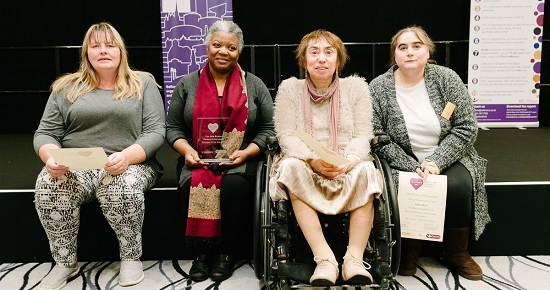 You can nominate your own organisation for an award or if you are from outside the VCSE sector you can choose to nominate a local VCSE organisation. Fill out the volunteer nomination form here. Fill out the organisation nomination form here. 1. The Alan Henning Community Volunteer Award: In memory of Alan Henning. Open to all volunteers who give their time freely in order to make a positive difference in Salford. 2. Young Volunteer (under 25) Award: Young people who have made a difference to their own life prospects and to the lives of others through volunteering. 3. Trustee / Committee Member Award: Individuals who have given their time in the role of a trustee, management committee or board member to ensure the effective governance and sustainability of a Salford voluntary, community or social enterprise organisation. 4. Over 55 Volunteer Award: People over 55 who volunteer in the city to make a difference to the lives of others . 5. The Josie Browne Personal Achievement Volunteer Award: In memory of Josie Browne. Individuals who have developed personally through volunteering and / or may have overcome personal / practical difficulties in order to volunteer. Before you make a nomination, we recommend that you read the guidance notes. 1. Small Community Group: Open to small community groups who are making a real difference in their local area. 2. Social Enterprise: Salford social enterprises that are fulfilling their social mission and adding value to this city. 3. Charity: Registered charities who are making a positive difference to the people of Salford. 4. Innovative Project Award: Projects of voluntary, community or social enterprise organisations that have made a difference through new and innovative ways of working. 5. Equalities Award: Voluntary, community or social enterprise organisations that address equality issues, challenge discrimination or help to develop community cohesion. Nominees across all categories will be shortlisted by an independent panel and attendees at the ceremony will vote for the winners in each category. Alternatively, you can print and complete the forms attached at the bottom of this page. The closing date for nominations has been extended to Wednesday 19th September 2018. 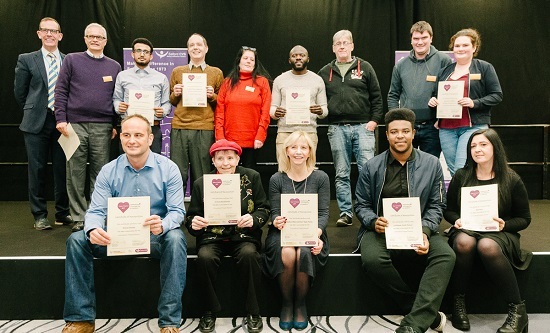 You can find out more about previous award winners and the Heart of Salford ceremony from 2016 and 2017. 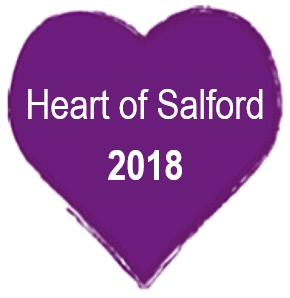 Poster | Leaflet | Facebook post | Twitter post - We would be grateful if you could print and display these or post on your social media sites to spread the word about the Heart of Salford 2018.